Lintoot was educated at King Edward VI Grammar School, Guildford and attended St Luke’s Training College at Exeter, and became a schoolteacher. While there he played part-time for Woking and became their Captain in the 1905-06 season and represented Surrey. He joined Southern League club Plymouth Argyle, as an amateur, in the summer of 1906, but only made two appearances before joining another Southern League club, Queens Park Rangers in the summer of 1907. He developed into a strong and clever left half-back who provided good passes and had a solid grasp of the game around him. While at Queens Park Rangers he scored once in thirty-five appearances as they won the Southern League and he was rewarded by becoming the club’s first International player, winning five amateur caps and three full caps in his time there. Queens Park rangers were experiencing financial problems and Lintott was asked to turn professional, so that Rangers could transfer him for a fee. He was signed by First Division Bradford City in November 1908 for a fee in excess of £1,000. While at City he won a further four England caps, played in a North v South trial game and scored for the Football League against the Irish League. One of his England appearances was against Ireland at Bradford Park Avenue in 1909. While at Valley Parade he played in four F.A. Cup ties and scored twice in fifty-three League games, before joining Leeds City in June 1912. He was ever-present in his first season at Elland Road as Herbert Chapman’s team rose to sixth place in the Second Division. He only played a handful of games in his second season and retired in 1913. As soon as war was declared he enlisted in the Army and rose to the rank of Lieutenant. He was killed in action on the first day of the Battle of the Somme 1st July 1916. He represented England at full international level seven times, the Football League once and also England at Amateur level five times. England international, first head of the PFA and schoolteacher, Evelyn was an active and remarkable man. With his brother being the Bradford Daily Telegraph reporter ‘Preceptor’, he must have made quite a mark in Edwardian Bradford. However, he lived in a humble terraced house on Cornwall Place, right behind Valley Parade and in the heart of the very community that spawned and supported Bradford City. Evelyn Lintott was born at Godalming on 2nd November 1883. He was the son of Arthur Frederick and Eleanor L. Lintott. of "Hazelville," Wolseley Rd., Farncombe, Surrey. After attending St. Lukes Training College, Exeter in 1905, he became a schoolteacher, but also played part-time football for Woking. He captained Woking in 1905-06 and represented Surrey. He joined Plymouth Argyle in the summer of 1906, where he made only two appearances, before signing as an amateur for Southern League Queens Park Rangers in the summer of 1907. He made his debut against New Brompton on 7 September. Though Evelyn had occasional forays up front, he was most effective at right half. QPR won the Southern League in 1908 and met Manchester United in two Charity Shields. He was also QPR’s first England international; he won five amateur and three full caps during his time with the Rangers. Whilst at QPR he remained in the teaching profession at a school in Willesden, North London. Lintott had made thirty-five appearances for QPR, scoring one League goal, when he caught the eye of Bradford City manager Peter O’Rourke. On 21st November 1908 O’Rourke travelled to London and met Lintott at Paddington station, when Rangers were returning from a match at Swindon. He signed his man that night and Lintott joined City for over £1,000. The transfer fee went a long way to helping QPR out of serious financial problems. As a City player Lintott won four England caps, one North v South trial game and scored for the Football League v Irish League. One of his England appearances was against Ireland at Bradford Park Avenue in 1909. On arriving at Valley Parade, City found him employment at ‘Sports and Pastimes’ - the makers of City’s shirts. However, he expressed a wish to return to teaching and he found a post at a school in Dudley Hill. Evelyn was also heavily involved with the emerging Players Union, known today as the PFA. From 1910-11 he was the head of the organisation. His brother, Fredrick Stacey Lintott, Bradford Daily Telegraph reporter ‘Preceptor’, edited the Unions ‘Football Player Magazine’. After fifty-seven appearances and two goals for the Bantams, Lintott moved to Leeds City on 7th June 1912. At Elland Road he made forty-five appearances, scoring one goal. Evelyn joined up shortly after the outbreak of War. On 14 September 1914, frustrated at the delays in recruiting in Bradford, he enlisted at Leeds with the 15th Battalion West Yorkshire Regiment (Prince of Wales Own): the ‘Leeds Pals’. He was still living in Bradford and gave his address as 13 Cornwall Place, Manningham, yards from Valley Parade itself. On his enlistment form Evelyn gives his occupation as a schoolteacher, as opposed to the professional footballer he was. Evelyn’s battalion left Leeds station on 25th September 1914 en route to Masham and training in the Yorkshire Dales. Over 20,000 gave them a rousing send off. They were to be accommodated on land owned by Leeds Waterworks at Colsterdale (Ure Valley). Evelyn was promoted to Sergeant and by 20th December 1914 he became a Lieutenant, the first professional footballer to gain a commission. In late June 1915, they moved to Ripon, where they met up with the 1st and 2nd Bradford Pals, as well as the 18th Durham Light Infantry. On 7 December the Leeds and Bradford Pals boarded the liner ‘Empress of Britain’ at Liverpool, bound for Egypt, to guard the Suez Canal. A minor collision with the French mail ship ‘Dajurjura’ forced an unscheduled stop at Malta for repairs. Despite an encounter with a submarine, they landed safely at Port Said on 21st December 1914. After three months in Egypt, they boarded the troopship Asconia on 1st March 1915 en route for France. They landed at Marseilles and were transported to the front in time for the assault on the Somme. Evelyn was killed in action on the first day of the notorious Battle of the Somme on 1st July 1916, aged just thirty-three. His death was officially reported by Private David Spink. The report said ‘Lt. Lintott killed by machine gun at 3pm in the advance. He was struck in the chest.’ More detail was forthcoming in a letter to the Yorkshire Post. It described his last moments: "Lt. Lintott's end was particularly gallant. Tragically, he was killed leading his platoon of the 15th West Yorkshire Regiment, The Leeds Pals, over the top. He led his men with great dash and when hit the first time declined to take the count. Instead, he drew his revolver and called for further effort. Again he was hit but struggled on but a third shot finally bowled him over." Evelyn’s brother, the reporter Fredrick Stacey Lintott, dealt with the will via a Bradford solicitor based on Market Street. The personal effects were sent to Evelyn’s mother in Surrey. They were listed as: 3 books, 2 bank pass books, 1 cheque book, 1 advance book, 2 note books, photograph case and photographs, photographs and postcards. Evelyn, who had never married, left £78 to be distributed among his family. Sadly, Evelyn’s body was never found, he is commemorated on the Thiepval Memorial to the Missing. It has 72,000 names of British and Commonwealth troops killed during the Battle of the Somme who have no known grave. Evelyn Henry Lintott, the son of Arthur Frederick and Eleanor L. Lintott, was born in Godalming, on 2nd November, 1883. The family lived at Hazelville, Wolseley Rd., Farncombe, Surrey. He attended St. Luke's College. A talented footballer he played football for Woking and Plymouth Argyle in the Southern League. Lintott came from a wealthy family and never became a professional footballer. In 1906 the Football Association began organizing amateur internationals. Lintott was selected to play at left-half. Also in the team was the great Vivian Woodward. The England team went on an international tour and in their first game they beat France 15-0 with Woodward scoring eight goals. In 1907 Lintott joined Queens Park Rangers. He made his debut in the second home game of the season against New Brompton. Despite his amateur status, Lintott won his first full International Cap on 15th February 1908 against Ireland. Also in the England team that day was Bob, Crompton, George Hilsdon, George Wall, William Wedlock and Vivian Woodward. England won 3-1. Lintott kept his place in the team and also played against Wales (7-1) and Scotland (1-1). Lintott was QPR's first player to win international honours. In 1907 Billy Meredith and several colleagues at Manchester United, including Charlie Roberts, Charlie Sagar,Herbert Broomfield, Herbert Burgess and Sandy Turnbull, decided to form a new Players' Union. The first meeting was held on 2nd December 1907, at the Imperial Hotel, Manchester. Also at the meeting were players from Manchester City, Newcastle United, Bradford City, West Bromwich Albion, Notts County, Sheffield United and Tottenham Hotspur. Jack Bell, the former chairman of the Association Footballers’ Union (AFU) also attended the meeting. Herbert Broomfield was appointed as the new Secretary of the Association Football Players Union (AFPU). It was decided to charge an entrance fee of 5s plus subs of 6d a week. Billy Meredith chaired meetings in London and Nottingham and within a few weeks the majority of players in the Football League had joined the union. This included Andrew McCombie, Jim Lawrence and Colin Veitch of Newcastle United who were to become important figures in the AFPU. Despite being someone who was not paid wages, in an act of solidarity, Evelyn Lintott, joined the AFPU and was later elected as its Chairman. The AFPU also got support from administrators of the clubs. John J. Bentley (president) and John Henry Davies (chairman) of Manchester United joined the campaign to abolish the £4 ceiling on wages. At the 1908 Annual General Meeting the Football Association decided to reaffirm the maximum wage. However, they did raise the possibility of a bonus system being introduced whereby players would receive 50% of club profits at the end of the season. The AFPU continued to have negotiations with the FA but in April 1909 these came to an end without agreement. In June the FA ordered that all players should leave the AFPU. They were warned that if they did not do so by the 1st July 1909, their registrations as professionals would be cancelled. The AFPU responded by joining the General Federation of Trade Unions. In 1909 Queens Park Rangers was in serious financial difficulty. In order to help QPR he became a professional and was sold to Bradford City in the First Division of the Football League for over £1,000. Lintott had only played thirty-five games for QPR. 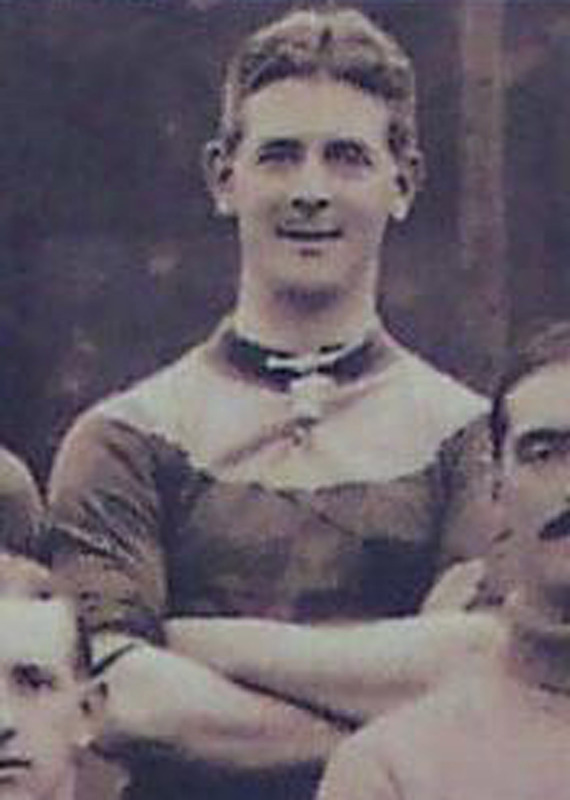 Lintott helped Bradford City avoid relegation to the Second Division in the 1908-09 season. He also retained his place in the England team and played in all four international games in 1909. This included victories over Ireland (4 v 0), Scotland (2-0) and Hungary (4-2 and 8-2). Bradford City finished in seventh place (1909-1910) and fifth place (1910-1911). Bradford also beat Newcastle United in the 1911 F.A. Cup Final 1-0. After scoring two goals in fifty-three games for Bradford City, Lintott was persuaded by Herbert Chapman to join Leeds City in the Second Division of the Football League. He played forty-three games for his new club before retiring from football in 1913. On the outbreak of the First World War Lintott applied for a commission in the British Army. He eventually joined the 17th Service (Football) Battalion of the Middlesex Regiment as a second lieutenant. The Football Battalion had been founded on 12th December 1914 by William Joynson Hicks. Other members of this regiment included Walter Tull and Vivian Woodward. On 15th January 1916, the Football Battalion reached the front-line of the Western Front. During a two-week period in the trenches four members of the Football Battalion were killed and thirty-three were wounded. This included Vivian Woodward who was hit in the leg with a hand grenade. The injury to his right thigh was so serious that he was sent back to England to recover. Lieutenant Evelyn Lintott was later transferred to the West Yorkshire Regiment. He was killed on the first day of the Somme on 1st July 1916. Evelyn Lintott was QPR's first ever England International back in the early 1900's. He signed for QPR from Plymouth in 1907 and made his debut in the second home game of the season in Southern League Division One. Rangers faced New Brompton that day in a 2-2 draw and it was the start of two years at QPR for Lintott. Lintott only played thirty-five times for Rangers during his career with us but during his short career he made history by becoming our first ever England International. During his time at QPR he played eight times for his country, five times as an amateur and three as a full international player. During those games he was never on the losing side. His time with the England team saw him help the country to beat Ireland (6-1 & 3-1), Holland (12-2), France (12-0), Belgium (8-2), Germany (5-1), Wales (7-1) and Scotland (1-1). Lintott went on to become secretary of the Football Association later in his career. Whilst at QPR he helped us to win the Southern League in 1908 and he played in two Charity Shield games against Man Utd. He signed pro-forms so that he could be transferred to Bradford City in 1908 for over £1,000 as a ploy to dig the R’s out of a deep financial hole. The next England international to play for QPR wouldn't make an appearance for another sixty years. Lintott left QPR in 1908 when he moved to Bradford City but he had already made his name at QPR and will forever be remembered for his short but memorable stay in London. As posted on the message board on this site and on the LSA web site recently more details have come out on Lintott’s later life. QPR fan Ron Gould picks up the story which you won't find in the QPR history books. Ron and his wife went to the Thiepval monument a few years ago which contains the names of 72,000 men killed at the Battle of the Somme in 1916 and whose bodies have never been found or identified. One of those names is that of Lt. E.H Lintott of the 15th Battalion West Yorkshire Regiment. A letter to the Yorkshire Post describes his last moments. "Lt. Lintott’s end was particularly gallant. He led his men with great dash and when hit the first time declined to take the count. Instead he drew his revolver and called for further effort, again he was hit but struggled on but a third shot finally bowled him over." Ron sums him up as a great man, an inspirational school teacher, hero and not least a Queens Park Ranger. “Lest us not forget”. Thanks to Ron Gould for this information and the pictures of Lintott which is a previously unpublished photo of Evelyn Henry Lintott, in his first England jersey when he was a Q.P.R. player. The photo was taken at The Royal Grammar School Guildford, where he was a distinguished Old Boy.